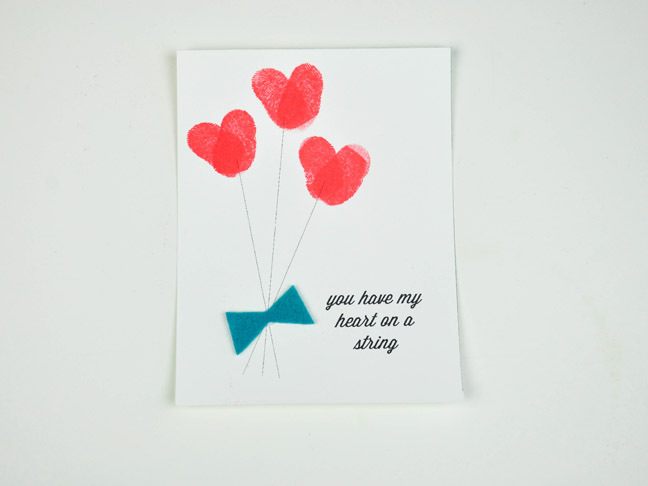 There is nothing better than receiving a handmade card from your friends! 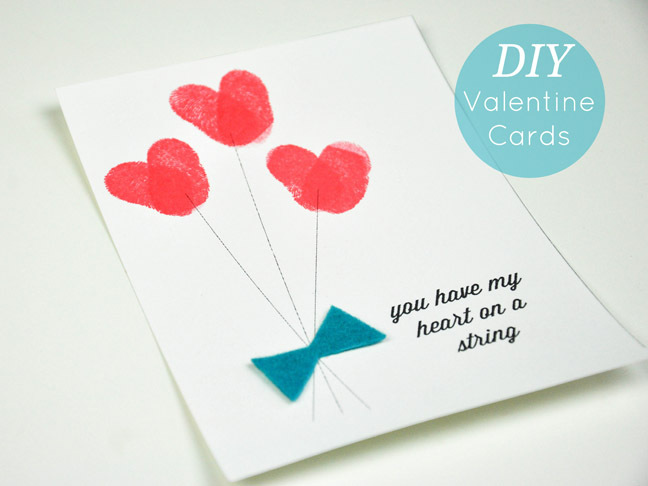 You and the kids can create these heartfelt Valentine's Day heart on a string cards in an afternoon with supplies you probably have on hand. 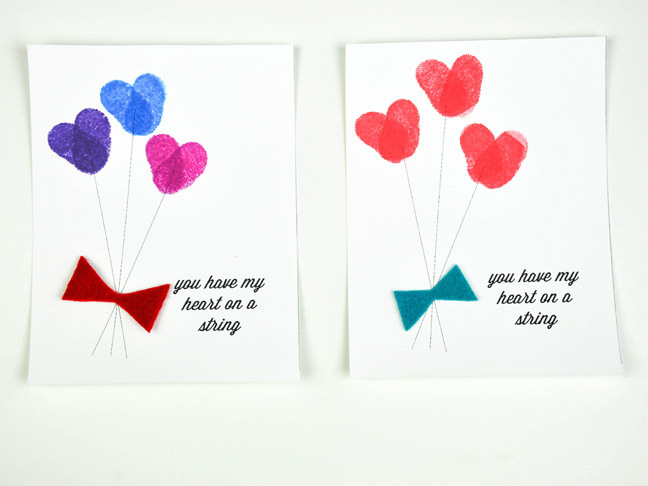 We've included the printable, so all you have to do is add your colorful fingerprints and adorable felt bow. 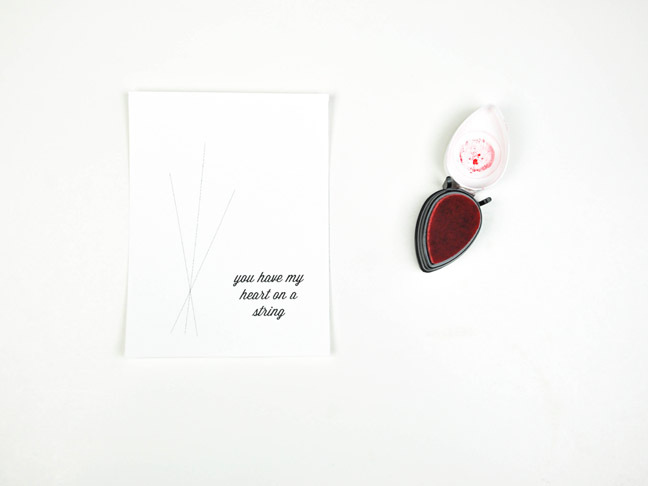 Step 1: Download and print out the printable on the card stock. 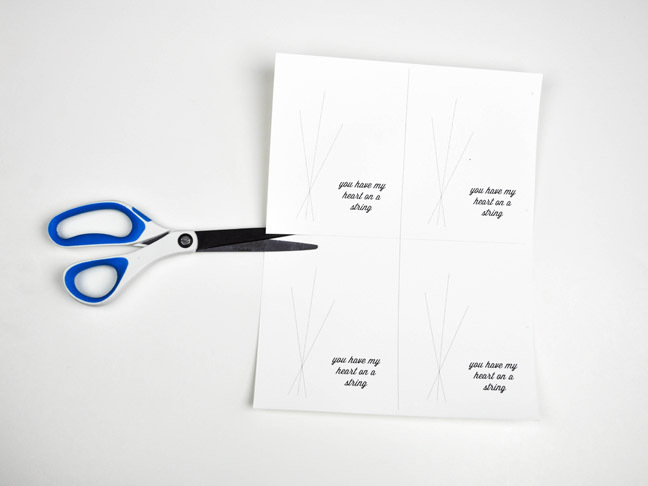 Cut out the four separate cards on the cut lines provided. 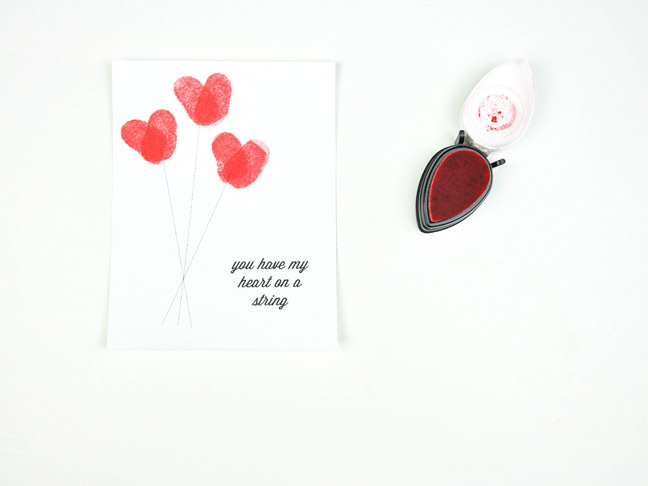 Step 2: Using the stamp pad in the color of your choice, press your thumb onto the pad. Place your first thumb at an angle on the first balloon string. Step 3: Press your thumb on the pad again and angle your thumb in the opposite way, creating a heart shape. Form two more heart balloons in the same manner. 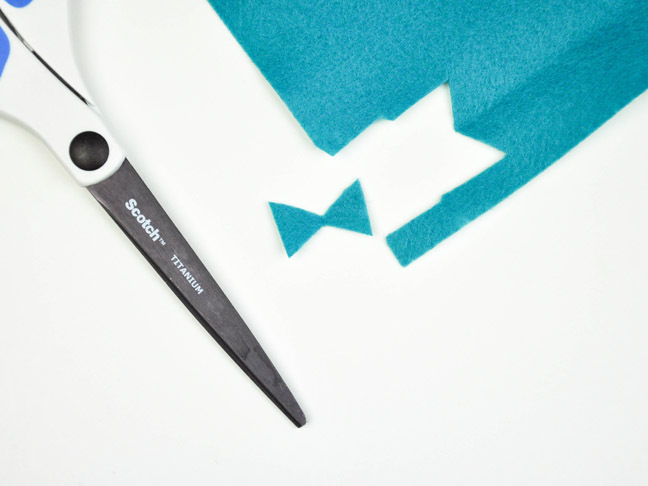 Step 4: Cut a bow shape out of your scrap felt. 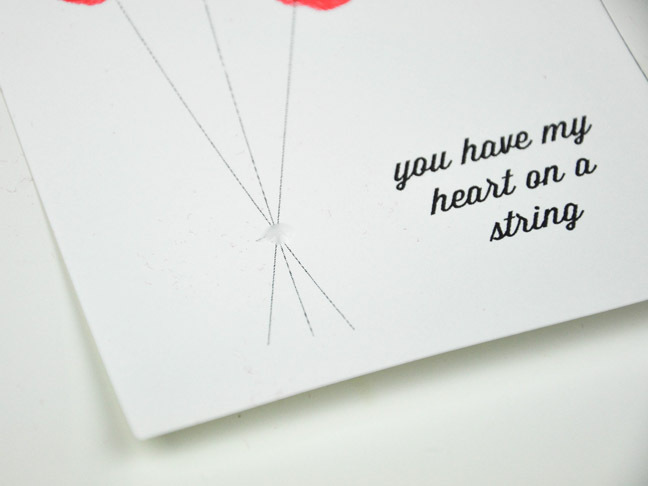 Step 5: Place a small dot of glue at the intersection of the balloon strings. 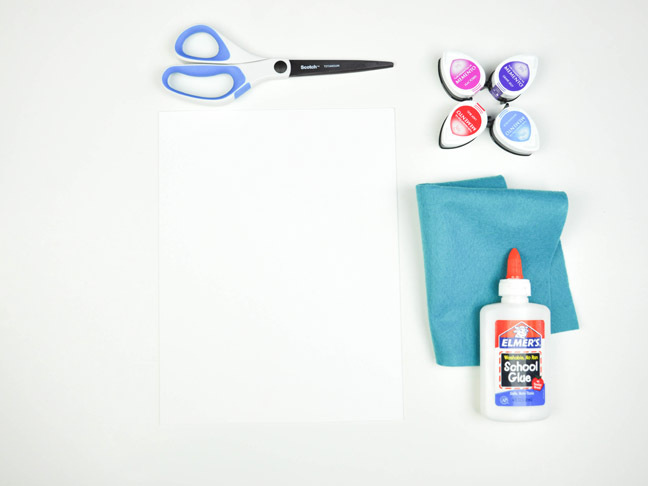 Step 6: Place the bow on the glue and allow to dry. Step 7: Get creative and use different colors and bow sizes. Have fun!